← Congratulations New ACVP Diplomates! 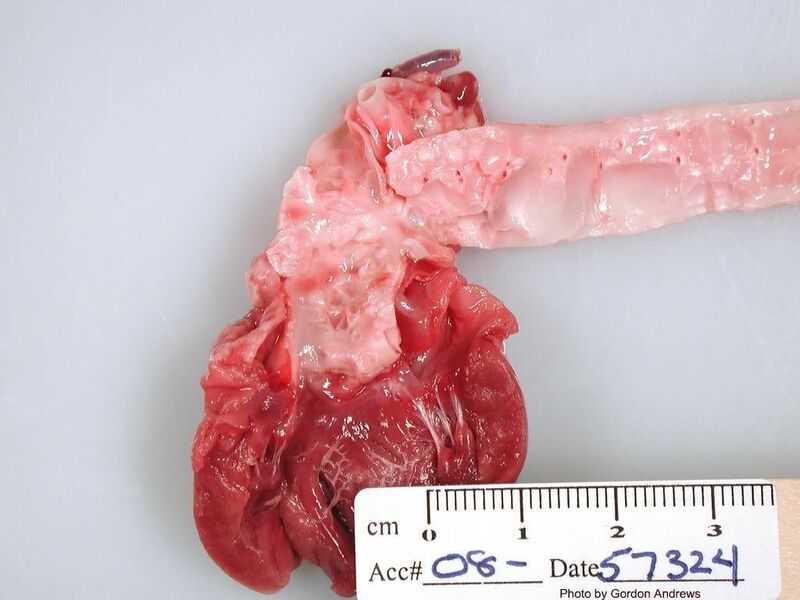 In the mid 1960s two mongrel dogs were euthanized and then perfused with saline followed by buffered formalin fixative. Their brains were cut transversely into regional blocks that were embedded in paraffin, sectioned at 20 microns thickness, and stained with luxol fast blue and cresyl violet. 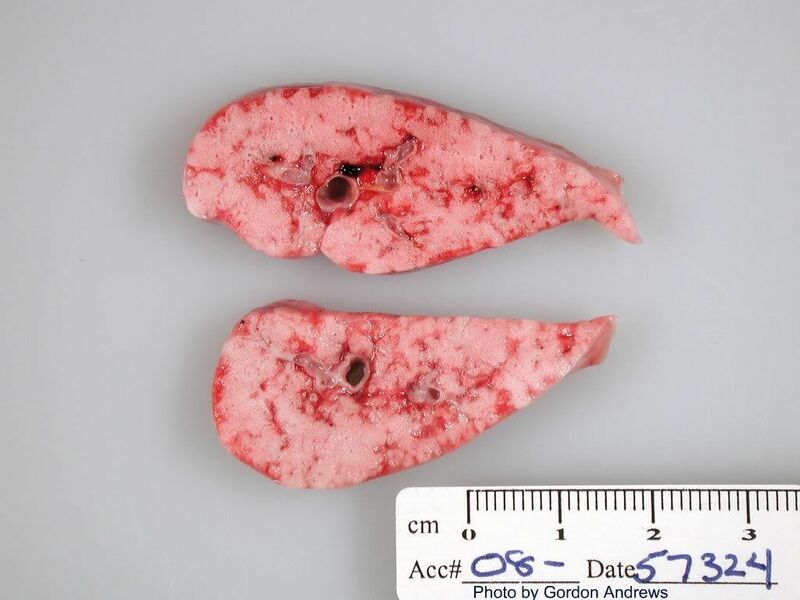 Glass slides of these canine brain transections (coronal sections) have been used since by veterinary students studying neuroanatomy at the University of Minnesota. 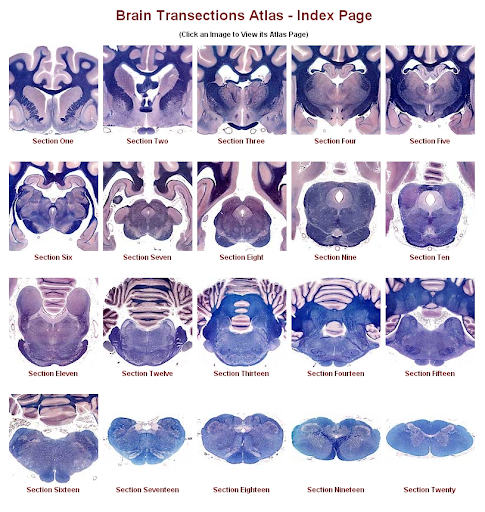 In 2006, a sampling of the glass slides were submitted to BrainMaps.org (BrainMaps.org) at the Center for Neuroscience, University of California, Davis for high resolution scanning. 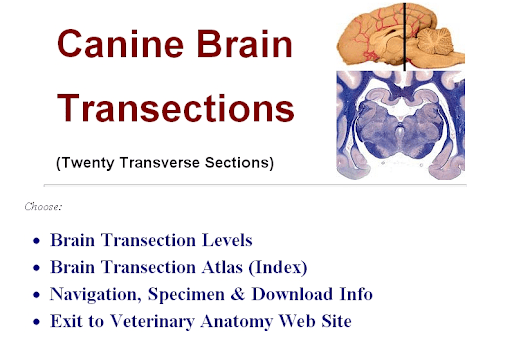 The canine coronal section images produced by the scanning process are available on-line (canine brain sections). Selected scanned images are used in this web site. (This website replaces an earlier one developed in 2002 using lower resolution images). You may download this web site and run it from your local hard disk. Click to view download instructions. 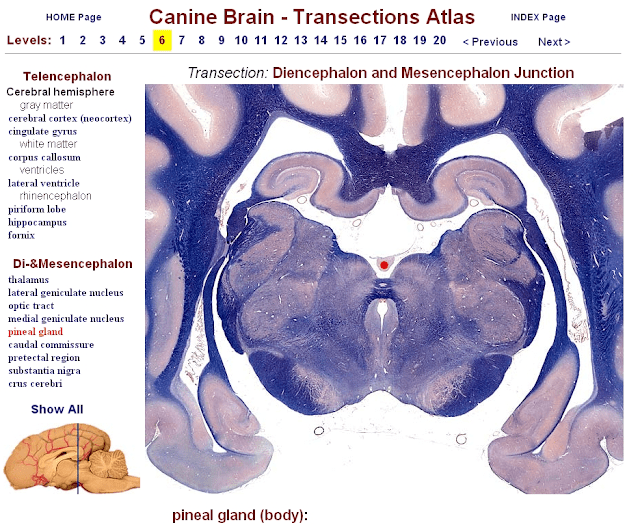 From the University of Minnesota, this interactive anatomy and histology website is a very helpful reference for finding the normal locations of all major brain and spinal cord structures, nuclei, tracts etc. 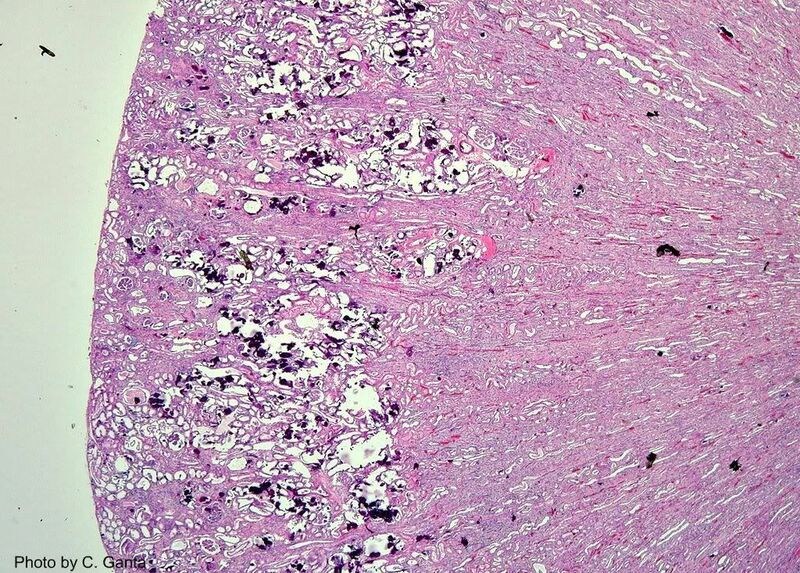 Browse for a location from the median view of a gross fixed specimen with colored vessels, and view the corresponding histologic image cross section at low power. 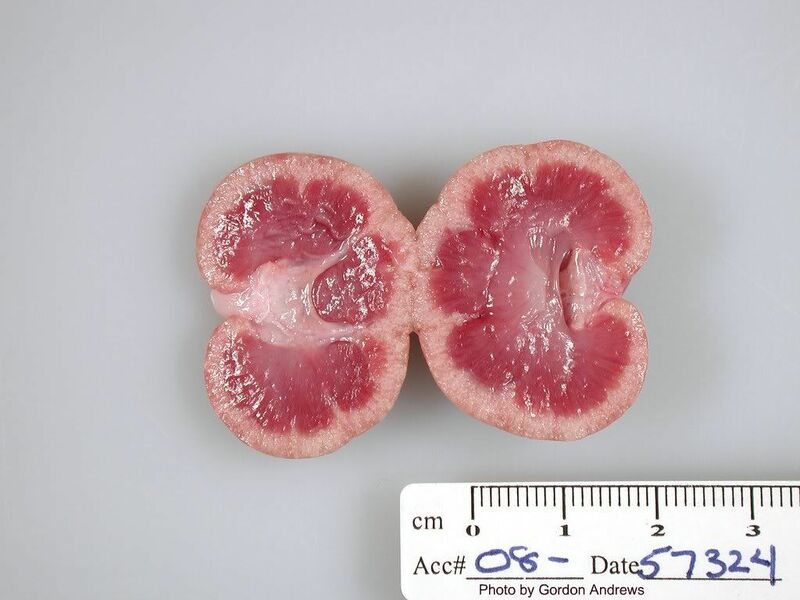 Or browse through the histologic cross sections in the atlas index page. 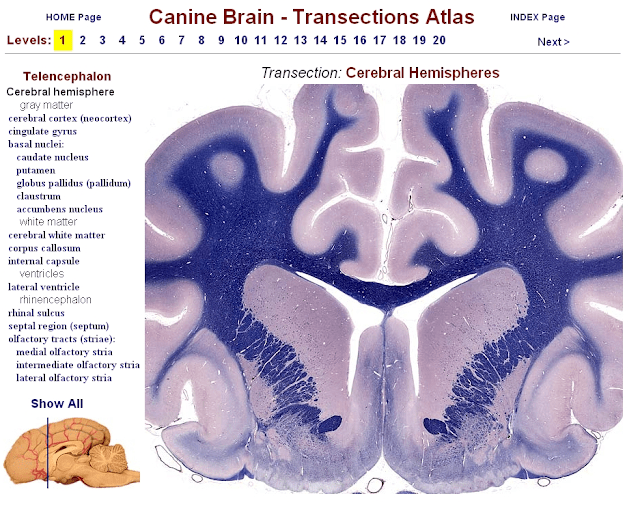 Choose and click a thumbnail from the index page and view a larger image of the sections of brain, with a list of histologic structures. Selecting an item from the left hand menu will produce a red locator dot at that location (Pineal gland in this case). 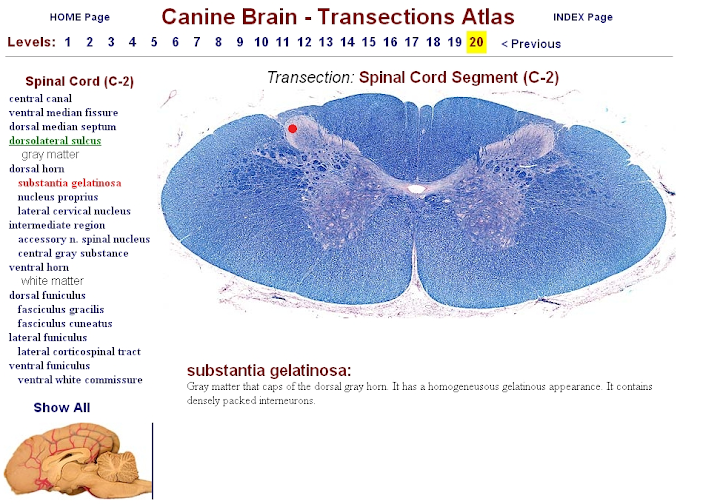 The website also has sections of the cervical spinal cord. This entry was posted in Link Highlights. Bookmark the permalink.